Washington is cool, pristine and evergreen and boasts an incredibly wide range of outdoor recreation. 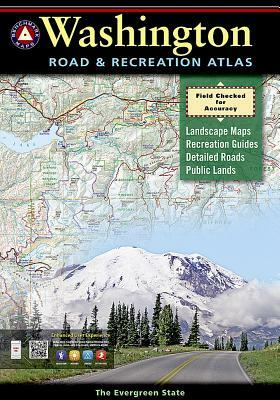 Benchmark's Washington atlas has the latest, most accurate maps and reliable recreation information to make the most of these opportunities. The large-scale Landscape Maps(TM) make this atlas perfect for either freeway travel or four-wheeling fun on a remote back road. Includes complete Public Land ownership and GMU boundaries.Map Scale = 1:200,000 & 1:600,000Sheet Size = 11" x 16"